“Our girls are home!” That’s the cry from Lea Thompson’s Kathryn Kennish, in Freeform’s new teaser for the fifth and final season of its Switched at Birth TV show. 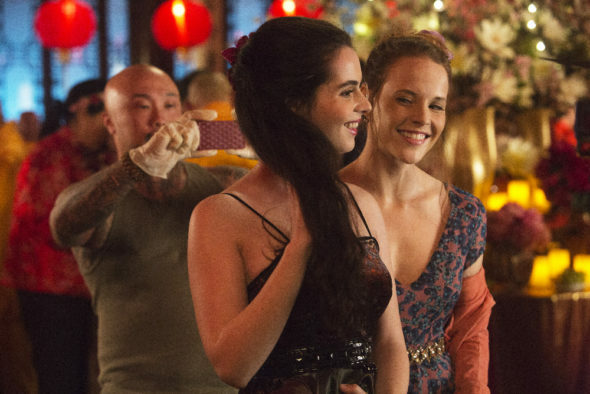 Watch Bay (Vanessa Marano) and Daphne (Katie Leclerc) return from their 10 month trip to China, after the jump. Switched at Birth, season five, premieres on Freeform, Tuesday, January 31, 2017 at 9:00pm ET/PT. While Freeform decided to end the show, so there will be no season six, we still have plenty of new episodes headed our way. A family drama featuring Deaf Culture, Switched at Birth also stars Constance Marie, D.W. Moffett, and Lucas Grabeel. Marlee Matline and Sean Berdy guest star. Switched at Birth tells the story of two teenage girls who discover they were accidentally switched as newborns in the hospital. Bay Kennish grew up in a wealthy family with two parents and a brother. Meanwhile Daphne Vasquez, who lost her hearing at an early age due to a case of meningitis, grew up with a single mother in a working class neighborhood. Despite overwhelming socio-economic and ethnic differences, both families must learn to co-exist as parents and blend their lives into one for the sake of their daughters. Fifth and final season of Switched at Birth premieres on Freeform, January 31st. 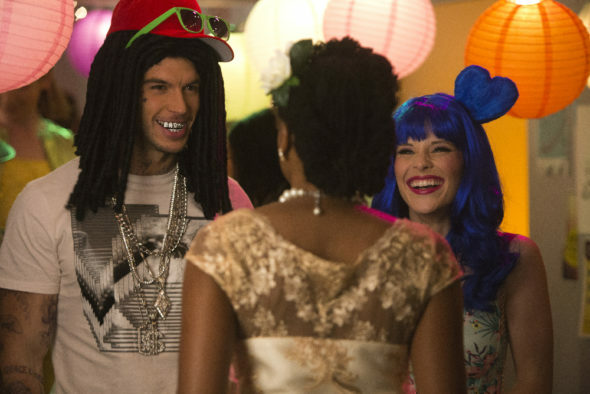 Pictured Adam Hagenbuch and Katie Leclerc (Freeform/Adam Rose). Fans have been waiting an extra long time to see Switched at Birth, season five. The fourth season finale first ran on Freeform, in October of 2015. Finally, the wait is almost over! What do you think? Do you plan to watch the final season of the Switched at Birth TV series? Do you think Freeform should have cancelled or renewed Switched at Birth for a sixth season? Sound off, in the comments. More about: Switched at Birth, Switched at Birth: canceled or renewed? Switched at Birth: Cancelled or Renewed for Season Six on Freeform? ᔕᕼOᑌᒪᗪ ᗷE ᖇEᑎEᗯEᗪ! ᗯIᒪᒪ ᗰIᔕᔕ TᕼIᔕ ᔕᕼOᗯ IᗰᗰEᑎᔕEᒪY!! !